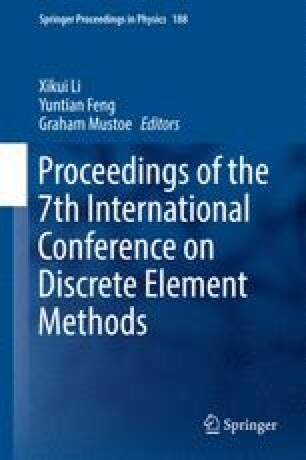 This work presents a new approach for the modelling of the heat transfer of 3D discrete particle systems. Using a finite-discrete element (FEMDEM) method, the surface of contact is numerically computed when two discrete meshes of contacting solids are overlapping. Incoming heat flux and heat conduction inside and between solid bodies is linked. In traditional FEM approaches to model heat transfer across contacting bodies, the surface of contact is not directly reconstructed. The approach adopted here uses the number of surface elements from the penetrating boundary meshes to form a polygon of the intersection. This results in a significant decrease in the mesh dependency of the method. Moreover, this new method is suited to any shape of particle and heat distribution across particles is an inherent feature of the model.